With Obamacare up and running, this new health care reform is leaving many wondering: why do I still need to pay for contraception? It seems that navigating through the Affordable Care Act has left many with more questions than answers. The new Obamacare insurance coverage requirements, specifically the preventative services for women, took effect. Under the Affordable Care Act, for the first time, insurance companies will be required to cover additional preventive health benefits for women to fill the gaps in current preventive services. The new guidelines afforded under the Affordable Care Act allow women to receive a comprehensive set of preventive services without having to pay a copayment, coinsurance or a deductible (also referred to as cost-sharing). Additionally, the Affordable Care Act (with its women’s preventative health services) requires all health insurance plans through your employer, state market/exchange or that you buy yourself (with the exception of those sponsored by religious employers) to cover, without any cost-sharing, all FDA-approved birth control options and contraceptive counseling. This means that you should be able to get your monthly supply of birth control with no out-of-pocket costs, as the full cost will be covered by your monthly premium. Your insurance company will not be able to charge extra payments for these services, such as copayments or deductibles. "Today I went to buy my NuvaRing and my insurance company still thinks they don't have to pay for it. I have been on the phone all day with them and I guess we just understand the law differently." So...who is right in this scenario? Unfortunately, they both are. Obamacare only requires new health plans to comply with the contraception coverage requirement – so it only applies to plans that were written or purchased after the Affordable Health Care was passed. Health insurance plans that existed before Obamacare have been grandfathered in (meaning, they don’t have to provide you with these contraception benefits). This means that the plan can continue to operate just as it has. But if the insurance company makes any significant changes to the plan (such as increasing coinsurance, copayments, or deductibles, considerably cutting benefits, or raising out-of-pocket limits by certain amounts), the plan will no longer be grandfathered. So, the good news is that these plans won’t be grandfathered forever. Most plans have already lost this status. So going back to Becca’s question about her insurance not covering NuvaRing, this may be because her plan is grandfathered, and that is why she is being denied coverage. Why Else Could You Still Be Needing to Pay for Contraception? There also appears to be some confusion about what contraceptives are covered. Even though the Affordable Care Act states that women will have access to all FDA-approved contraceptives -- all types does not equal all brands. Under Obamacare, plans still have the flexibility to control costs and promote efficient delivery of care by, for example, continuing to charge cost-sharing (co-pays, coinsurance, deductibles) for branded drugs if a generic version is available and just as effective and safe. Many insurance companies are interpreting the section of the law that allows them to "use reasonable medical management to help control costs" to mean that they can charge a co-pay for some forms of birth control but not others. This is why you may be told that you need to pay a co-pay to get the NuvaRing, or that only generic birth control pills are covered without a co-pay. So, What Are My Contraceptive Benefits under Obamacare? What are insurance companies allowed to do or when is your insurance company simply picking and choosing which contraceptives will be cost-free? If your contraceptive has a generic version, your insurance plan can choose to only offer the generic alternative for free. They may require that if you choose a brand-name drug (when an equivalent generic is available), you to pay the price difference between the two. If there is not a generic version of your contraceptive, they have to cover the name-brand drug without a co-pay. This means that under the Affordable Care Act, insurance plans must cover, at no cost to you, NuvaRing, Ortho Evra Patch, Depo-Provera, Mirena, ParaGard, and Nexplanon since there are no generic alternatives to these contraceptives. If there is only one FDA-approved contraceptive option available in the U.S., your plan is required to cover it (e.g. NuvaRing is the only contraceptive ring, so it must be covered). But since there are many kinds of combination birth control pills, health insurance companies may cover some of them. So which pills are specifically covered without a co-pay may vary by plan. If your doctor determines that the name-brand drug is "medically appropriate" for you, then your insurance company must provide a waiver process that will allow you to get your name-brand birth control without a co-pay. Plans must offer more than birth control pills for free. They are required to provide you with access to the full range of FDA-approved contraceptive methods -- this includes prescription methods and over-the-counter contraceptives. All contraception-related services needed to insert contraceptives (like IUDs), prescribe birth control, follow-up and manage contraceptive side effects, counseling for continued adherence, and removal of implantable devices must be covered with $0 co-pay. Permanent contraception, such as Essure and tubal ligation, must also be offered with no cost-sharing. Emergency contraception is considered an included benefit. However, remember that Plan B One-Step is a branded product, so your insurance plan may only cover its generic alternatives, Next Choice One Dose, My Way and Take Action for free and charge a co-pay for Plan B One-Step. Over-the-counter female contraceptives such as spermicides, female condoms, and Today Sponge are covered by the Affordable Care Act. But, in order for these to be covered with no out-of-pocket expenses, you must have your doctor write a prescription for these contraceptives. So even though they are available OTC, if you don't want to have to pay for them, you will need to get a prescription first. 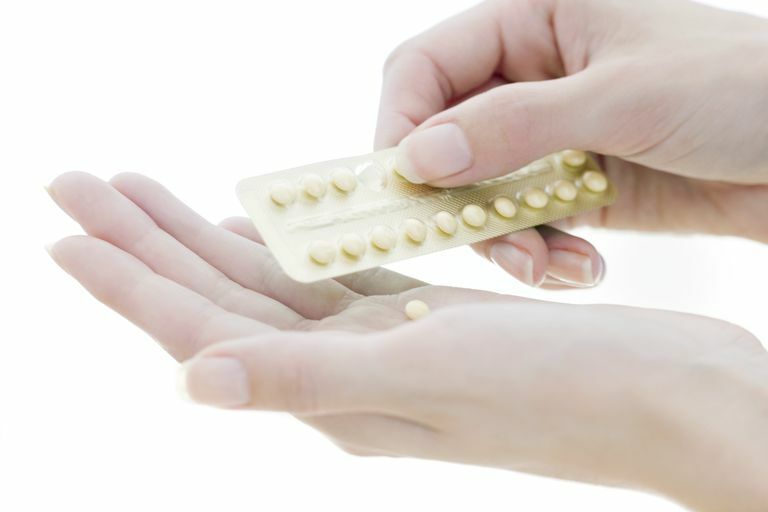 Given that the morning-after pill also has OTC status, you will also need a prescription (regardless of your age) if you want your insurance company to pay for it. You can still buy these contraceptives without a prescription -- they just won’t be free. The preventative services benefits only apply to women. So under the Affordable Care Act, your insurance company can charge copayments or deductibles for male-based contraceptive methods, like vasectomies or condoms. Medical abortions and drugs like RU-486 are not included in the Affordable Care Act’s preventative services, so insurance companies are not required to provide these services without cost-sharing. Because of all the confusion surrounding contraception coverage under Obamacare, you may be asked to pay for birth control that should be free. If you think that your insurance company is not following the Affordable Care Act, there are actions you can take. Call the member services number on the back of your insurance card or talk to your employer’s benefits administrator to determine if your plan is grandfathered and/or to inquire about what contraceptives are covered. A flowchart to help you find out if your contraceptive is covered. A script to use when you call your insurance company for answers/information. Sample letters to send your insurance company if they charge a co-pay for your specific type of birth control as well as links to include that back-up your rights. Instructions on how to file an appeal. FDA. "Birth Control Guide." Office of Women’s Health. United States Department of Labor. "FAQs about Affordable Care Act Implementation Part XII." Employee Benefits Security Administration. February 20, 2013. Have You Considered All These Birth Control Costs? Oh No, My Patch Fell Off! Now What? Is Your Weight Putting You at Risk for Contraception Failure?